During the second stage of development, between the ages of 2 and 7, children are likely to show signs of egocentric behavior. They have a perspective of looking at things, and by their own observation they derive different contexts from different situations. A child does not understand that someone else’s opinions can be different from his perceptions. If a child believes in something and thinks that everyone else should also believe in it, then this type of thinking is called egocentric. Ego-centrism is when one thinks about himself, and only cares about his own need, desire and view. This type of behavior is vastly found in children but can also be observed in adults. Egocentric children have a tendency to be self-centered, self-serving and self-focused. Between the ages of 2 and 7, egocentric behavior raises its head in children, and it subsides gradually as the child grows older. Ego-centrism has effects on the child’s perception. A egocentric person finds it difficult to absorb or acknowledge others perspective or in simple terms we can say he fails to see other’s view. An egocentric child’s vocabulary would be dominated with the expressions of “No”, “Me”, “Mine” and “My”. Ego-centrism in a child is the process of loving of discovering himself through the love of others – when he is the center of universe for everyone else. If a child likes strawberries more than oranges, he or she will perceive that everyone else also likes strawberries more than any other fruit. If anyone says that they like oranges or bananas instead of strawberries than this may feel completely absurd and incorrect to him. Egocentric nature of a child is his natural behavior. As time passes one understands others perspective too. Following very innocent example of egocentric behavior in children. You might have played peek-a-boo or hide and seek as a child or with your children. If your child hides in a blanket over the bed and thinks that he is hidden from you as he can’t see you, then this is an example of egocentric behavior. As the child is unable to understand that you can see him hidden inside the blanket. Ego-centrism is a trouble if this behavior governs important actions of a child. A child with egocentric thinking will have a bossy attitude, and will also be possessive about his belongings. The difficulty in sharing is also egocentric. Such children are mostly in disagreement. You may find your child pushing others out of the way to be at the first position in a line. He may also demand different foods offered to him or grab a toy from another child’s hands. Some children also express ego-centrism by being loud and distracting in a public place. With patience, serenity and consistence, egocentric nature in toddlers can be and must be managed very well. Though it is a developmental phase, it cannot be ignored. As a parent you should look to it that all his rational demands are fulfilled and irrational ones are not attended. Do not encourage the bossy attitude of your child. Talking and sharing your feelings with children and listening to their views can be very helpful for dealing with egocentric nature. Human beings do not need to learn loving others, it comes naturally. A parent must try that this natural ability to love is not hindered in him, and his feelings towards others are addressed properly. • Set the limits: Setting the limits can be hard for a parent, but there is no escape from it. 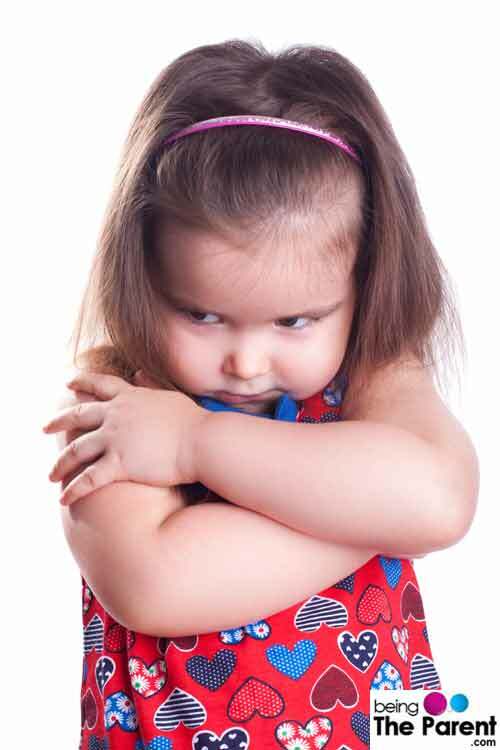 Giving in to temper tantrums of your toddler is not the right approach, and there has to be a firm “No” for things that are not right or not required. • Encourage decision making: Let your toddler participate in discussions and do ask his opinion for things that concern him and his environment. • Engage your child in friendships and play: Do let your preschooler get in touch with other kids and build relations. Children tend to lose ego-centrism when they see their friends having different views and thus are forced to have an understanding of reality. • Observe and listen to their self-talks: This will give you an insight of their thinking, and you will be more equipped with steps to deal with it. • Encourage open talks: Give your child ample opportunities, to explore, discuss, and exchange ideas. Also, welcome open ended conversations with them. If you believe egocentric is not as common in adults as it is in children then you are wrong. Egocentric behavior in adults can be easily sighted through daily life examples. If you are well versed with computers and find it very easy to handle new technology you might think that everyone else is also good with computers. If your grandparents request you to teach them computers and have difficulty in sighting letters on key board, it may easily frustrate you. Losing patience in such a situation is a type of egocentric behavior. The person with egocentric behavior is not aware that his actions are hurting others.